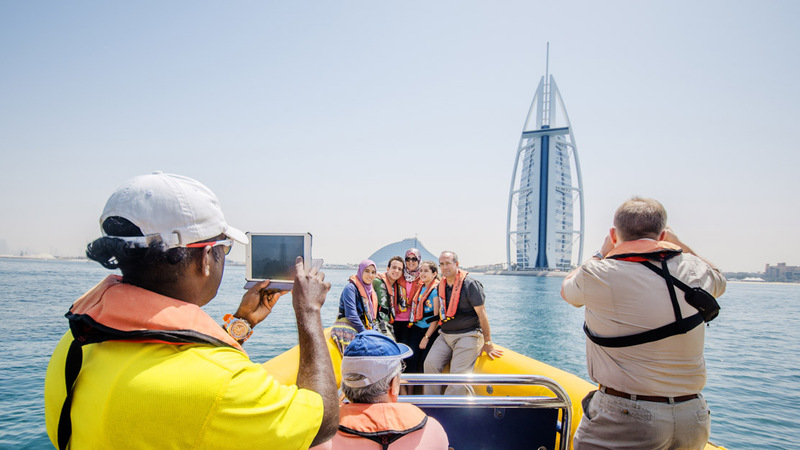 Dubai has transformed itself in recent years with a series of creative, ambitious construction projects that have catapulted this city to the top of every bucket list. Here are a few attractions you won't want to miss when you visit this desert hotspot. 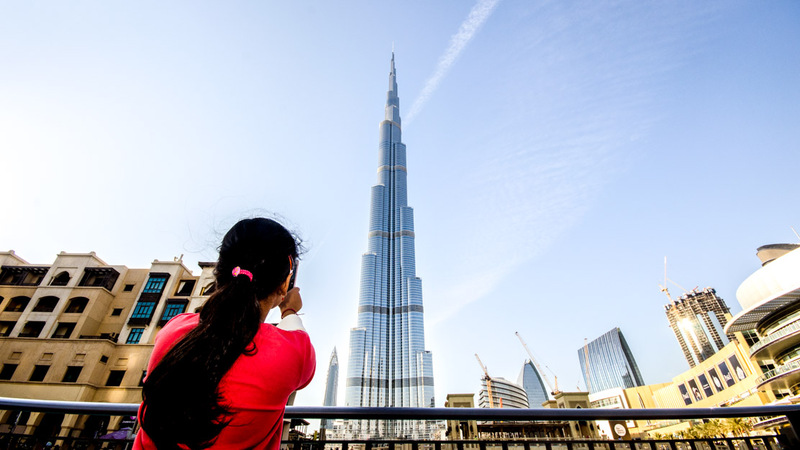 At 829.8 meters tall, the Burj Khalifa stands proudly as the world's tallest building. Visit the observation deck on the 124th floor for a gravity-defying, jaw-dropping view. 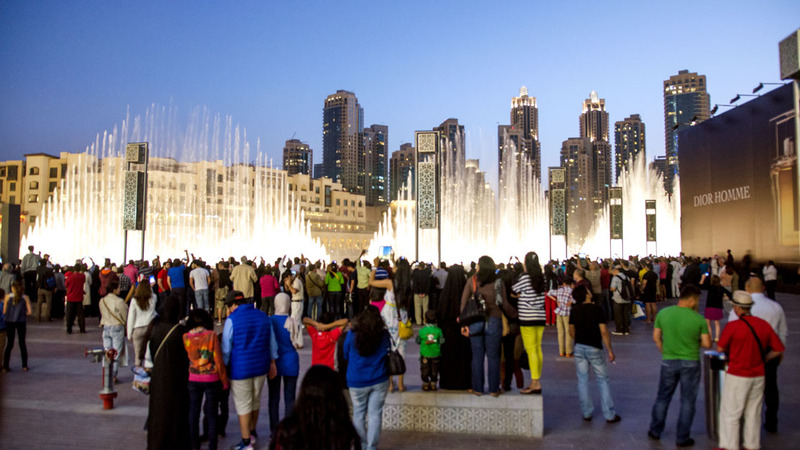 Brought to you by the same team behind the Bellagio fountains in Las Vegas, the Dubai Fountain show is a true spectacle. Grab a seat in a nearby cafe, and take it all in. Dubai is home to the world's tallest hotel, the Burj Al-Arab. If you can't afford the $15,000/night luxury suite, try dining amongst the sea creatures in the underwater restaurant! There are two palm-shaped artificial islands off the coast. 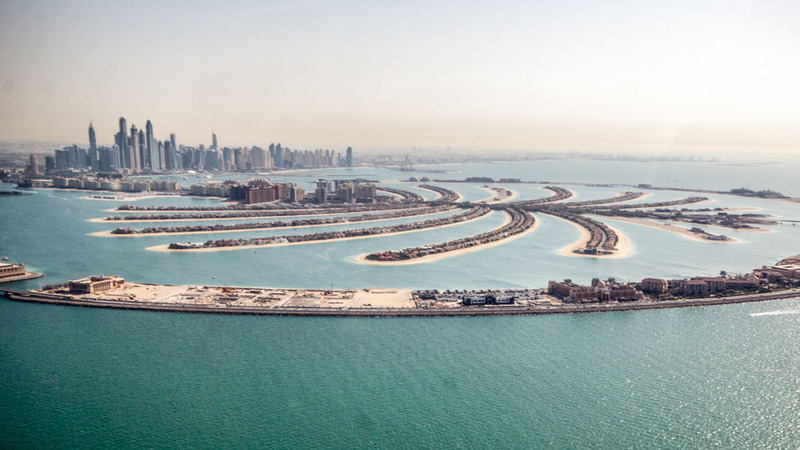 Palm Jumeirah already houses luxury villas and a waterpark. The larger Palm Jebel Ali is still under construction. 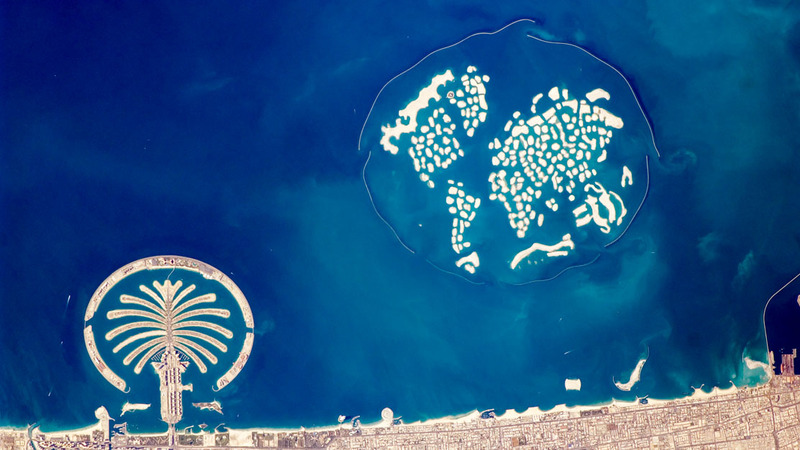 Just 2.5 kilometers off the coast, The World Dubai is an artificial archipelago in the shape of the world map. These 300 mini-islands are secluded properties for exclusive investors. Dubai gets some intense sun. And that means you'll be needing a beach. 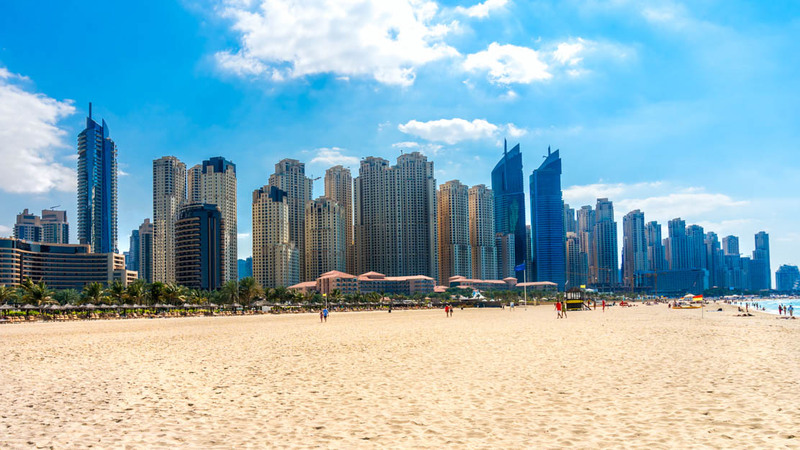 Jumeirah Beach is the best sandy strip in town, and the hub of hotels makes it a great homebase for tourists. The creek divides Dubai into two towns (Deira to the north, Bur Dubai to the south). 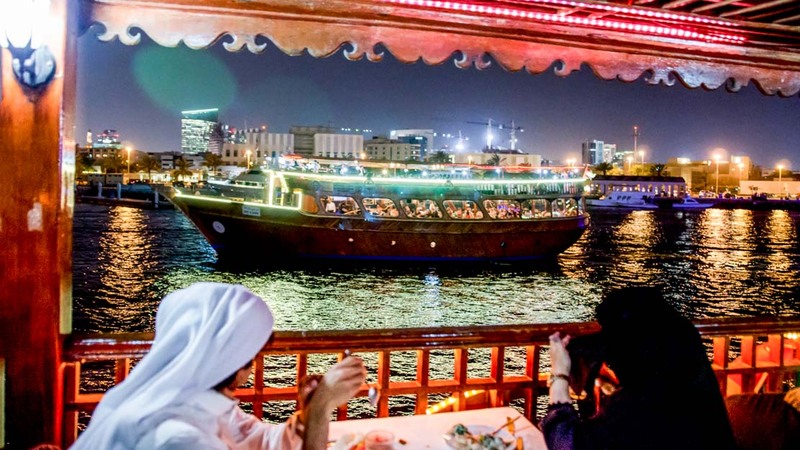 Check out the Dhow Wharfage, where some fishing dhows have anchored for over a century. 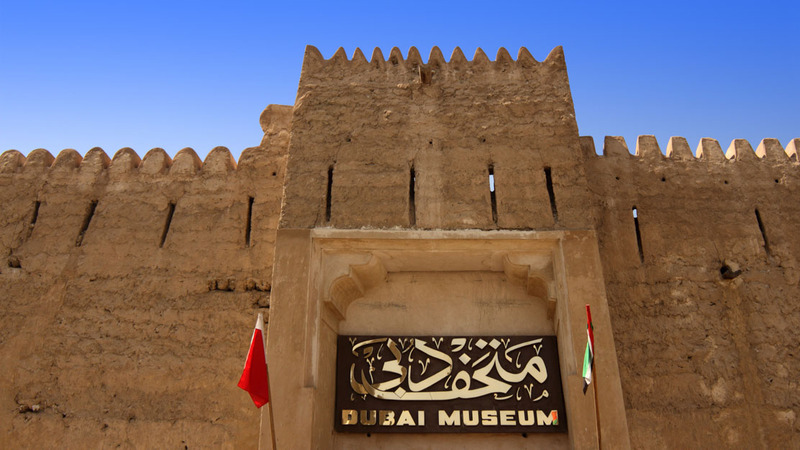 The Dubai museum is housed inside the 18th century Al-Fahidi Fort. Learn about the Emirates expansion after the oil boom, and examine traditional Emirati musical instruments. 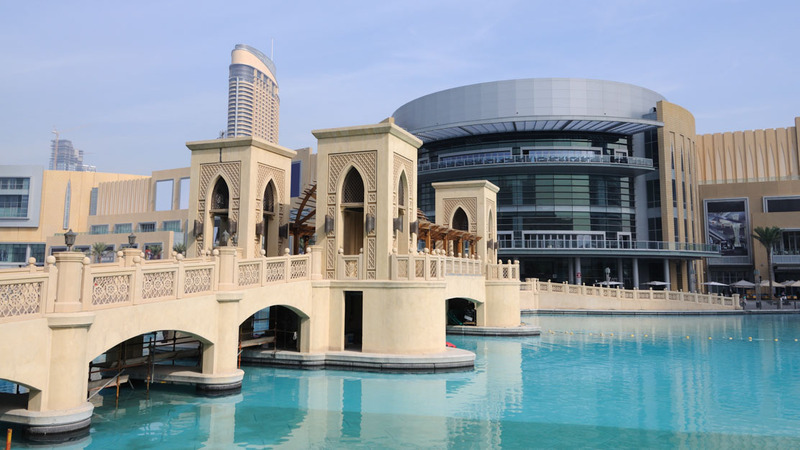 In a city this well-known for luxury, you better believe the Dubai mall is a must-see! Inside, you'll find an entrance to Burj Khalifa, an ice-skating rink, a games center, and a cinema. Spanning three kilometers along the Persian Gulf, the Dubai Marina will be the largest man-made marina in the world upon completion, and house over 12,000 residents and tourists. How many days should you spend in Dubai? For non-architects, three to four days will be plenty of time to see everything you need to see. Be very mindful of when you choose to visit. The weather gets very hot between May and September, and uncomfortable if you aren't used to the desert heat. Where should you stay in Dubai? You will have your choice of impressive hotel rooms in this city. For the more budget-conscious travelers, know that you won't have to miss out just because you can't afford to stay at the fancier places! Plan ahead for experiences at Dubai's luxury hotels. Make dinner reservations at Burj Al-Arab, or stop by for an afternoon cocktail (and view of the Burj Khalifa) at The Address Downtown Dubai. 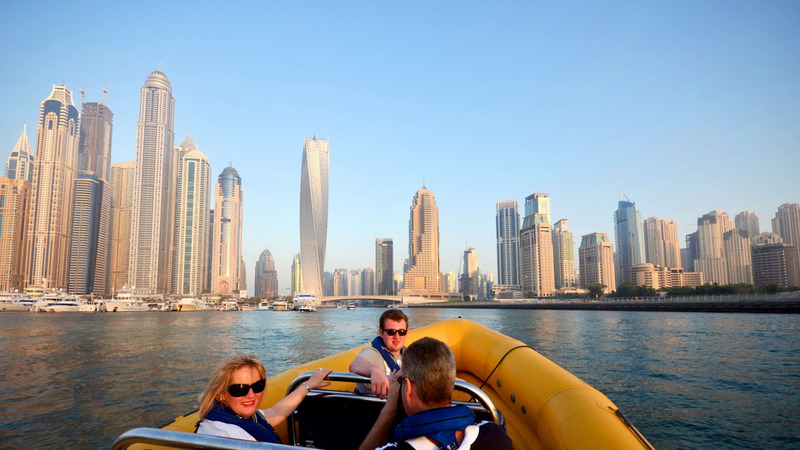 If you are heading to Dubai for the first time, you may have questions about the laws that Western tourists consider unusual. In short, be respectful. Dress conservatively and make sure your shoulders are covered. Public displays of affection are considered unlawful. Also, the consumption of alcohol in public is illegal, except in specified bars. It's best to visit in spring and fall, when the temperatures will be a little more mild. Wow.. Amazing Dunes, Camels and Scenery. Our driver, MAQSOOD - was brilliant. Despite a slight delay in collecting us due to an error in communications we had a great trip. Maqsood was very friendly and told us lots about UAE on our way to the base camp. We drove past some camels just walking along the road which was lovely. When we arrived, it was straight onto a camel for a ride. The ride was only a few minutes long but was enjoyed by the kids. We were offered quad biking but declined. Please note that the toilet facilities are very BASIC... Food and drinks were available to buy as they had a shop there. Our driver provided water but we took our own. After about 10 minutes we headed into the Dunes. Maqsood's driving skills were 10/10 - it was fast and exciting! Not for the faint hearted or for someone who has had lunch just before!!! Sand duning - kids LOVED IT.. Maqsood took some AMAZING photos of our kids which are my favourite from our entire holiday. THANK YOU MAQSOO - 5* star service! Cannot put into words how good this was. The trip from start to finish was outstanding. The driver Jackson was a legend. He made our day, nothing too much trouble. The dune bashing was amazing in fact the whole day was so memorable. I highly recommend. I don’t know where these bad opinions come from. We are very satisfied with the trip. The bus came on time to pick up us right from our hotel (not listed above but for free). We went quickly to Abu Dhabi, our guide was very kind and gave plenty of information. The car was air-conditioned and we received complimentary water. The program of the trip was great, we saw basically everything worth-seeing, the time was accurate, not too long, not too short, we weren’t tired. The first stop - Ferrari world- is a waste of time, we had only 25 min and we didn’t manage to see anything - this is the only weak point of the program. Next we went to the Grand Mosque. The guide gave us abajas to wear for free. It’s the most important part of the trip. The only regret is we could stay longer in the Mosque because and 1 hour is too short. We also saw Eithad Towers for free inside although it’s not written in the description, you can take photos of everything from above.